The OCD demons compel people to do all sorts of weird things. Like keep on tweaking their Plasma desktop setup, for example. Just as you think you've dandied it all up nice and pretty like, the demons cometh and mess up things, and suddenly, you notice a bunch of new issues that need a-fixin'. This is what happened to me while playing with Kubuntu 17.04 and openSUSE 42.3. I really thought I had everything sorted out, but then I realized the digital clock discrepancy between these two Plasma distros. Zesty had the big clock that just grew bigger with the bottom panel height, but Leap had a small, compact one that fit tidily into the system area. And so, another article was born. This one. P.S. 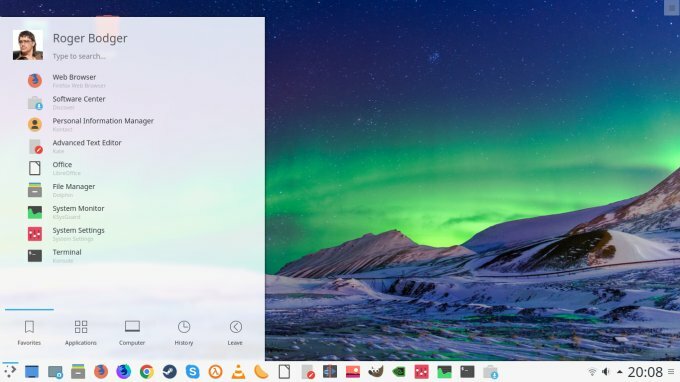 The issue discussed here has been fixed in Plasma 5.12.1, but since most people are still not using a distro running the latest version of Plasma, this little guide has merit and use. After me. Call it a first-world issue, but what happens is, the standard, default Plasma digital clock widget is not the prettiest in the universe. Mirror, mirror on the server, who's the bestest desktop like ever? It looks out of place with the rest of the system. And then, after some nice and elegant tweaking (pimping), I also had Kubuntu looking the same way. In fact, I've recently highlighted this in a fresh installation of Zesty on my somewhat older HP Pavilion laptop. A truly perfect desktop. Now, let's talk about the steps you need for this. Well, it's quite simple. You want to install and use the widget called Event Calendar rather than the standard digital clock. It's available in the repo. Click on the panel expand button on the far right, click on Widgets, then click Get new widgets at the bottom. This will open the system wizard that handles decorations - themes, icons, etc. 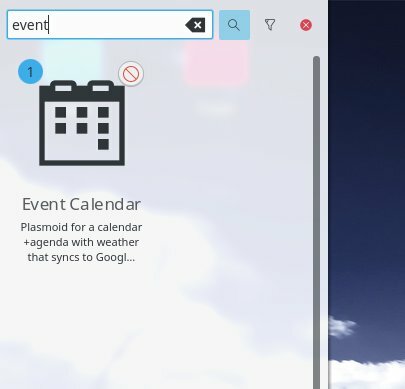 Search for Event Calendar and install it. 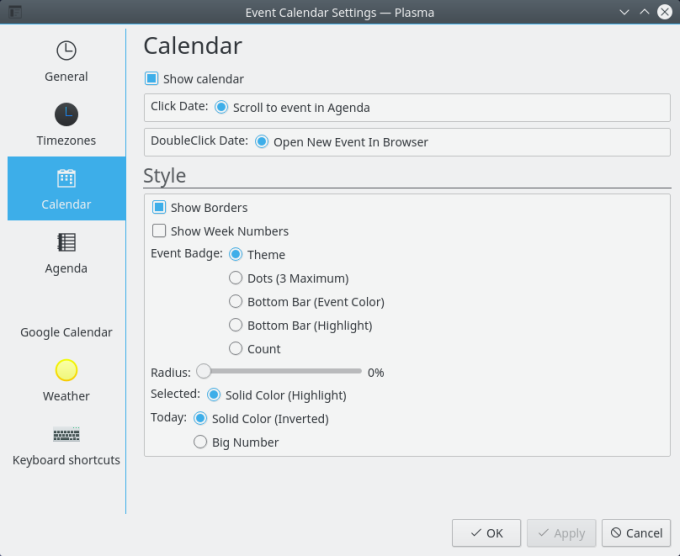 Then, repeat the panel edit action again, and this time, under Widgets, select Event Calendar and add it to the panel. You will of course now have two digital clocks, the one one spanning full height and the more compact one. Remove the old one. Once you have Event Calendar installed, it is time to configure it. 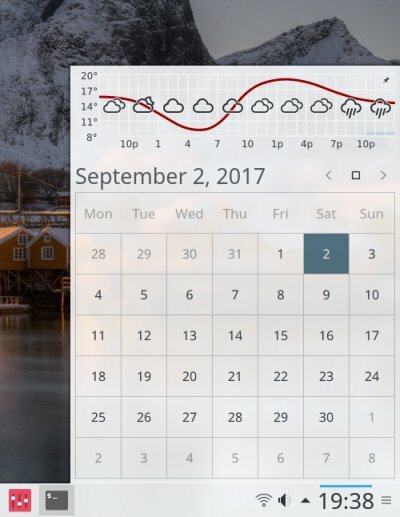 By default, it will show you the calendar, agenda (weeks with calendar appointments), a timer, and an empty weather panel. You may want to change all these. Right click. You now have a wealth of options available. 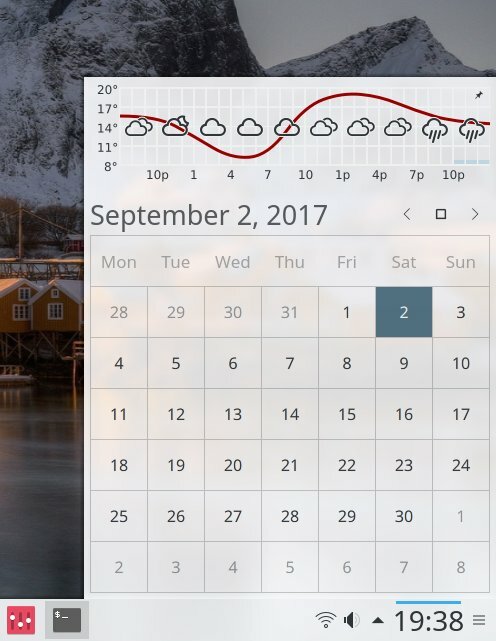 You can enable/disable the weather widget and remove the timer, so that Event Calendar resembles the old digital clock behavior if you want. Alternatively, you can add a city location as well as sync your Google calendar entries. As before, you have the option to add multiple time zones. Last but not the least, the timer, if you don't like it, you can vanish it under the general settings. Did I mention the timer? Behold the work in progress, and then the final cut - P.S. It did not really take me two days to sort it, it's just that I spread the screenshot session over several days. Anyway, result achieved, satisfaction unlocked. Kubuntu 17.04 Zesty Zapus perfect desktop tutorial - and the result! Pretty simple and straightforward, but then some people might struggle figuring out how to change the clock. The most obvious approach is to tweak the existing one, and indeed, a popular question could be: how to change the vertical height of the clock? But that's a hardcoded widget feature, and you can't do that easily. 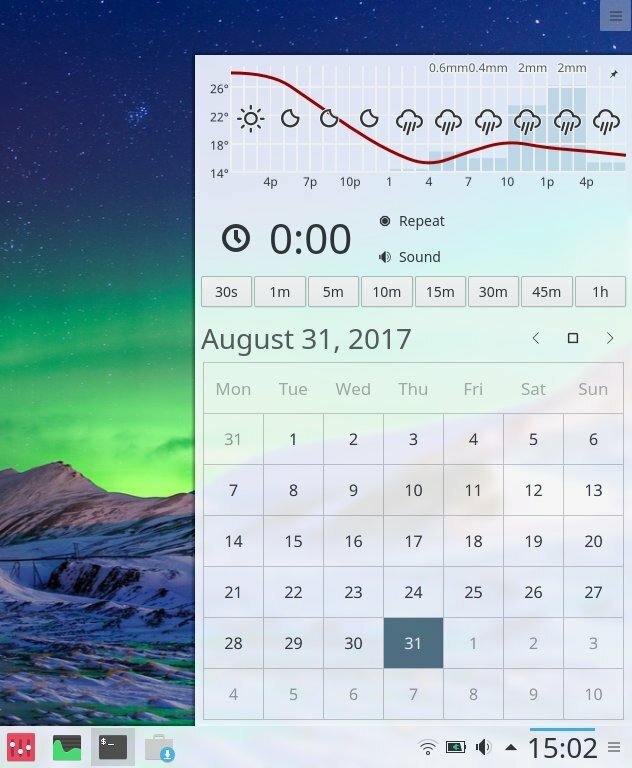 So you need a new widget - or use Plasma 5.12.1, which you can find in KDE neon. Lots of sweet reading right there. I believe Event Calendar, additional features notwithstanding, does a pretty good job, and it gives the system an ever so slightly more professional look. Once you're neck deep in tweaks and loving it, then it becomes an important part of the overall equation. Art can be like that. A blessing and a curse. I hope you like this little guide. More Plasma secrets coming your way soon.